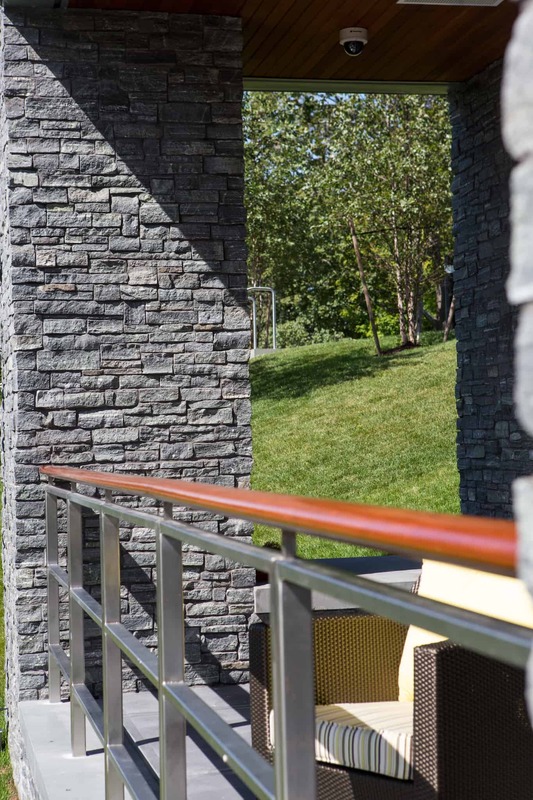 What a great combination. 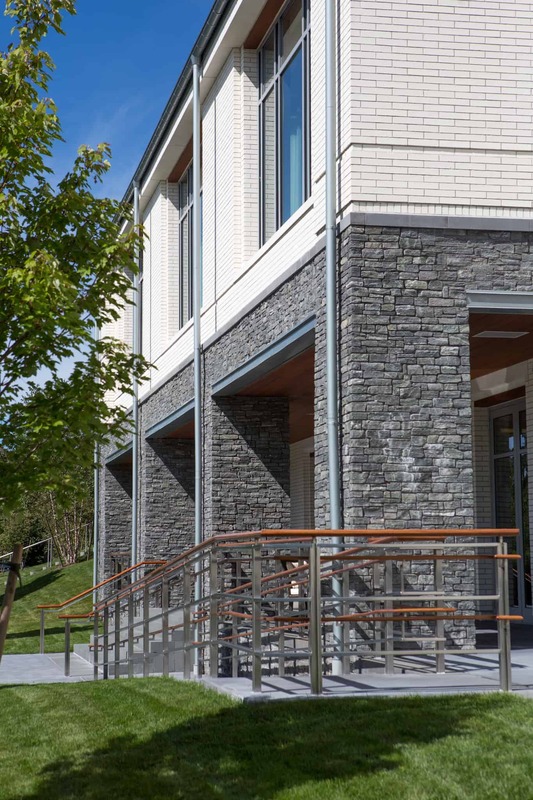 More and more we are seeing different types of building materials used together in design. 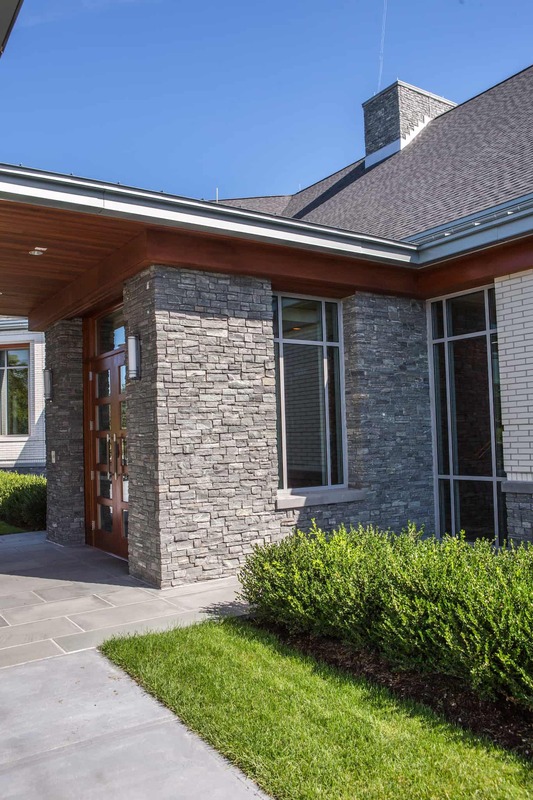 The Belmont Country Club utilized brick, stone, wood, and metal in a way that is both modern and sophisticated. 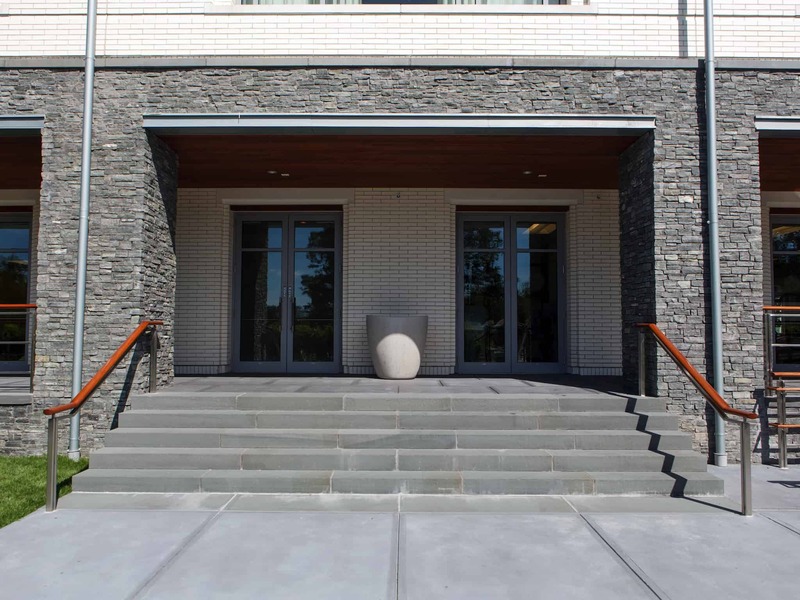 To balance the color palate, white brick was used instead of the traditional red. 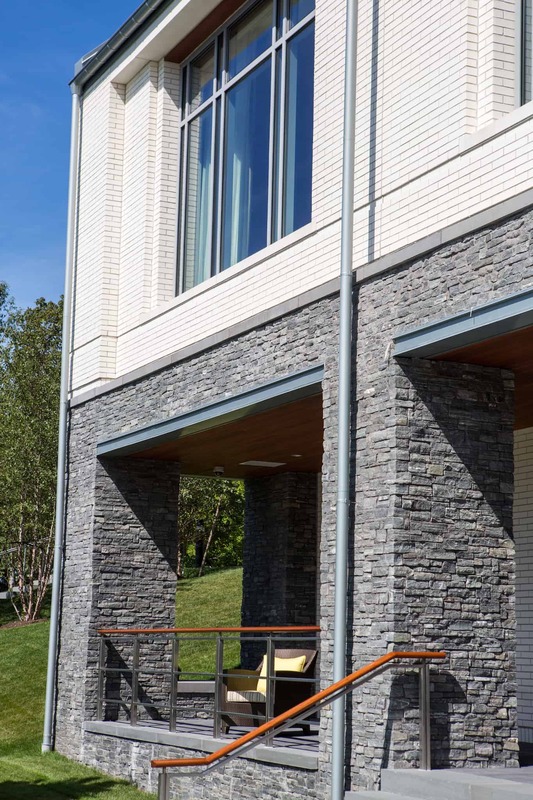 This is picked up by the subtle white striping present in the natural stone columns, foundation, entrance, and siding facade details. 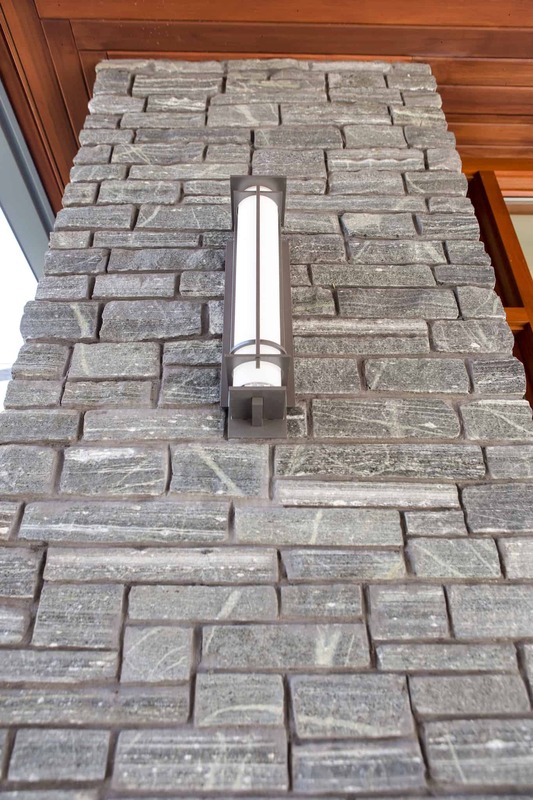 Staying with this theme, a blue/gray color was used for the trim to complement the primary tones in the stone. 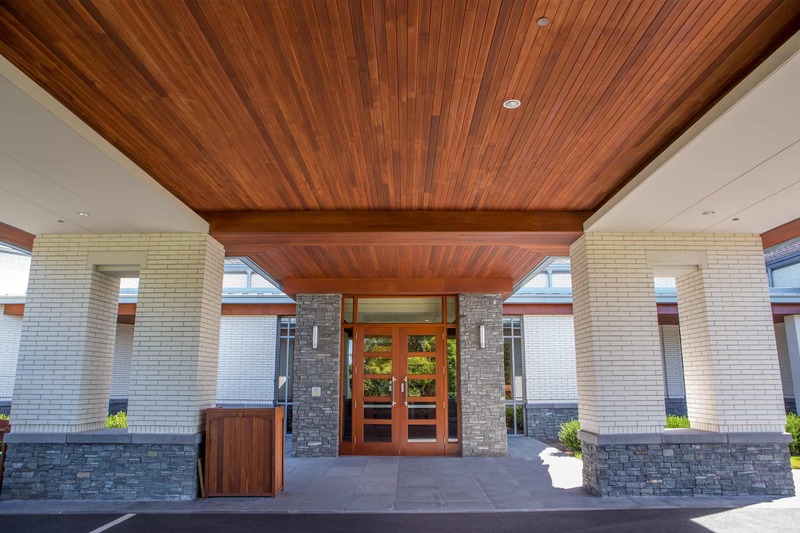 Metal accents and deep wooden doors and ceiling panels complete the design. 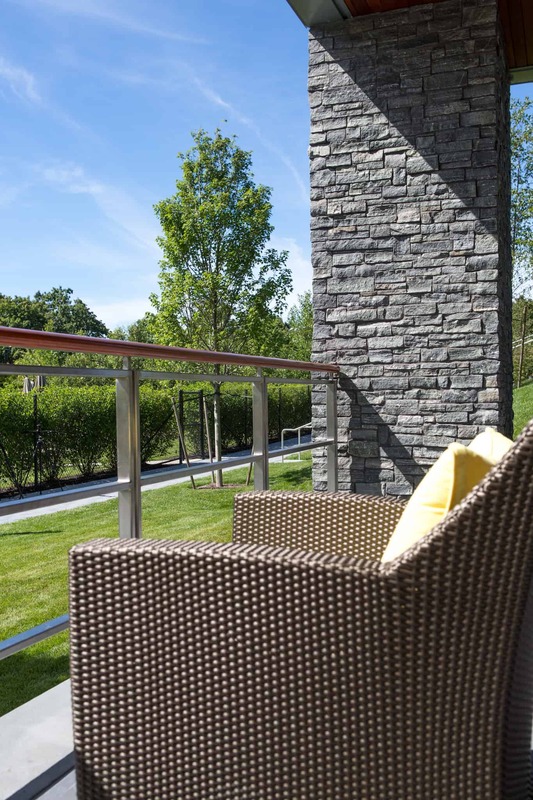 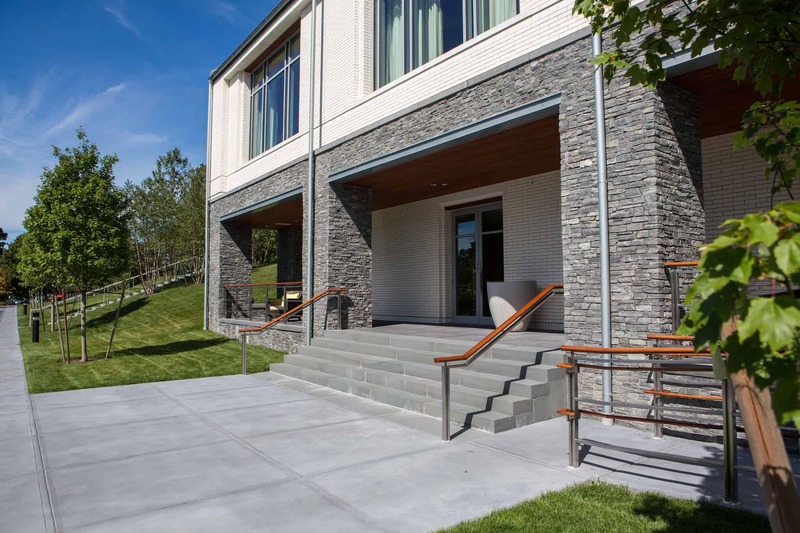 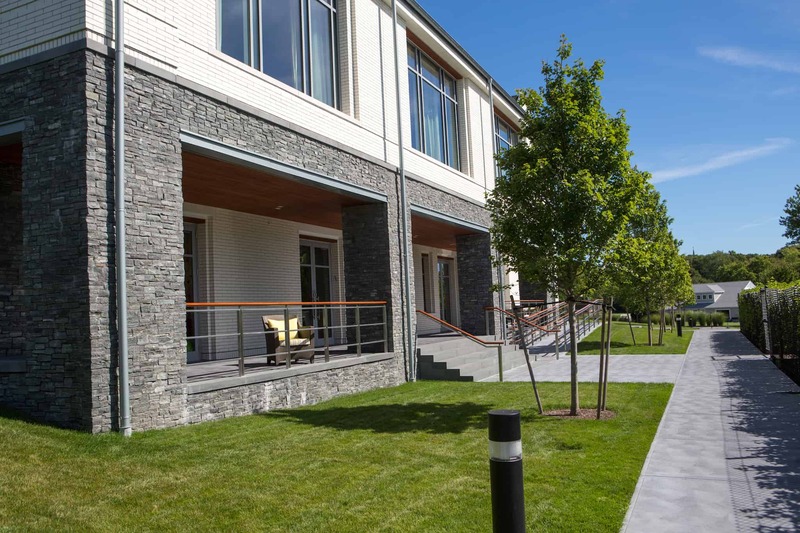 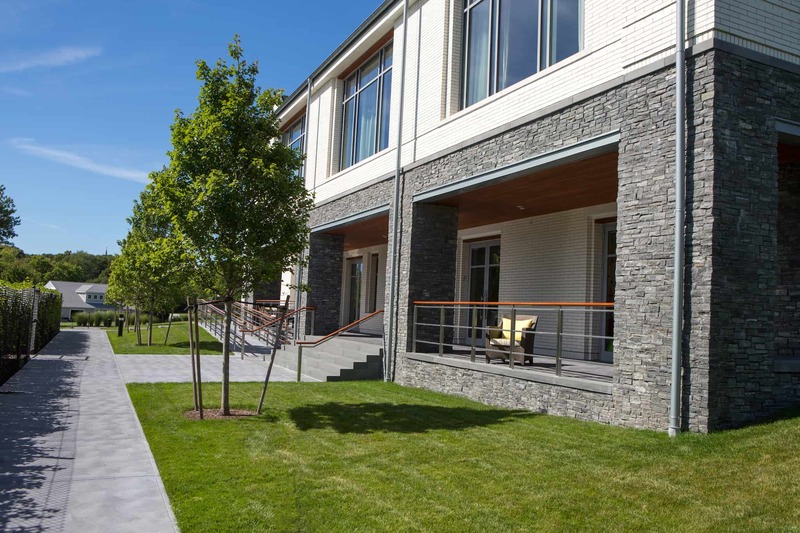 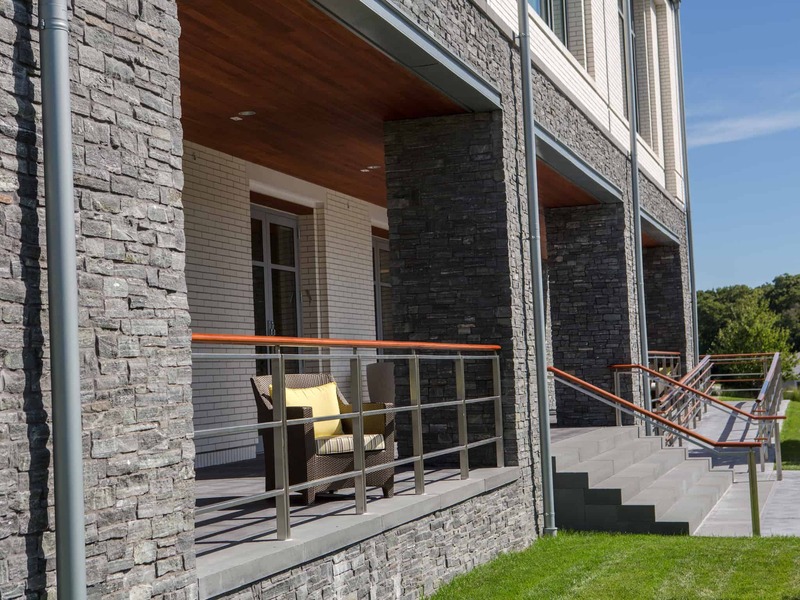 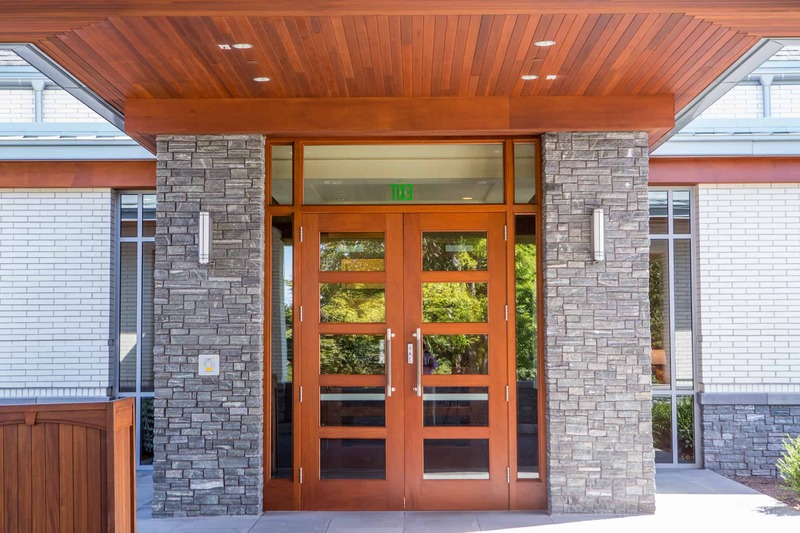 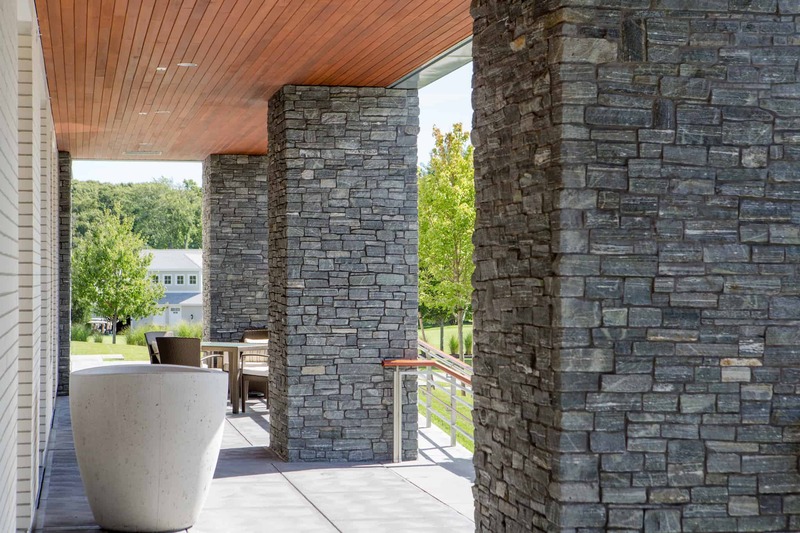 The natural stone veneer chosen for the Belmont Country Club was Greenwich Gray Ledgestone Thin Veneer. 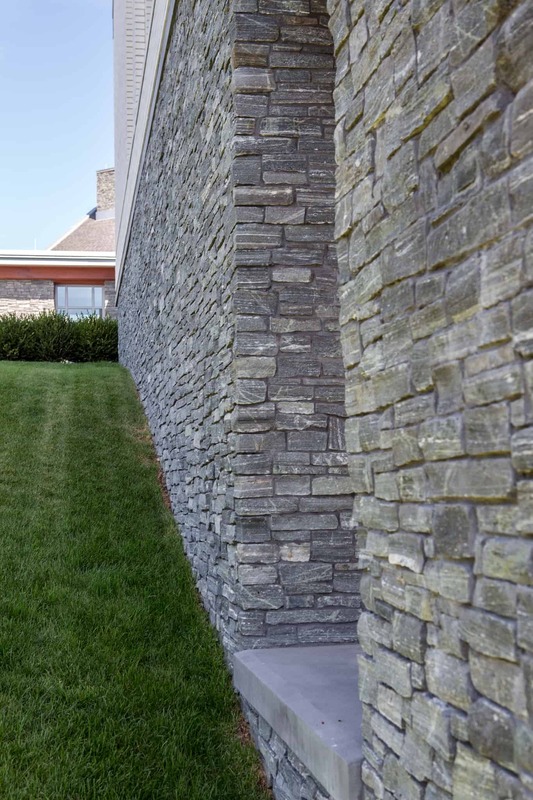 This material is 100% real stone that has been cut thin for ease of installation. 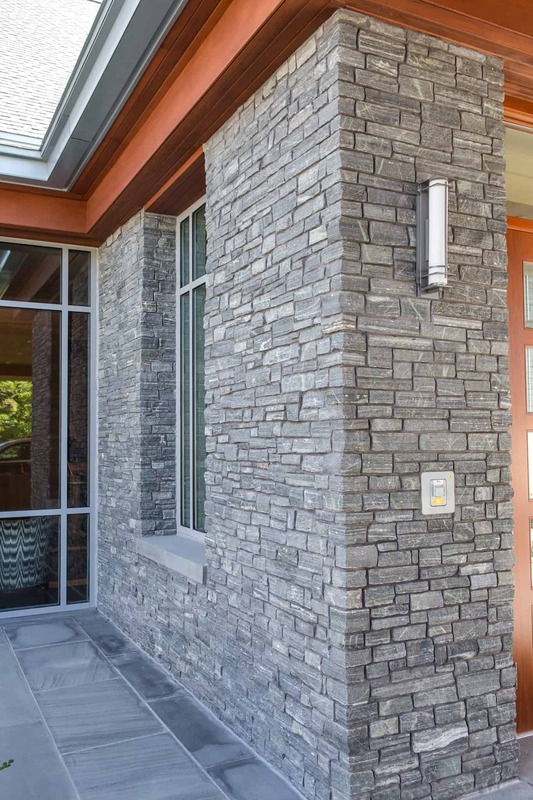 This light, yet durable stone adds texture and depth to any commercial or residential construction project. 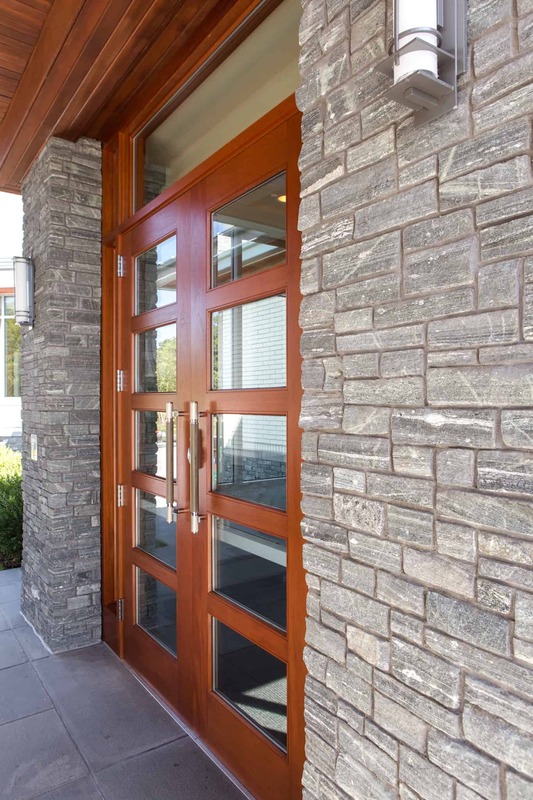 The use of authentic stone in any space provides a solid foundation to build a beautiful and well rounded design.